Today’s episode is sponsored by the NoteCast app by EX-IQ! NoteCast is a game-changer. You can use it to subscribe and listen to all of your favorite podcasts, but you can also use it to save portions of the podcast whenever you want—and it even automatically generates a transcript for you. You can download NoteCast for iOS or Android by going to notecast.app, and we’ve got a special offer for our listeners: Try it FREE for 60 days by entering code CLAYTON at signup. You probably already know the importance of making business purchases in order to lower your overall tax burden. But sometimes, it can be difficult to determine what kinds of purchases can serve as legitimate business expenses. Recently, one of our listeners asked about the idea of purchasing a vehicle as a business expense. 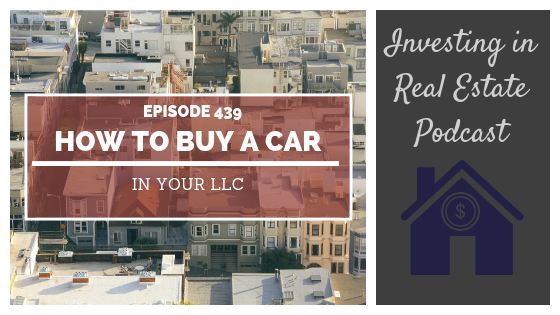 On this episode of Investing in Real Estate, we’re sitting down to discuss the conditions under which it is legitimate to purchase a car as a business expense. We’ll talk about the importance of buying expenses with pre-tax dollars, how to organize your business purchases, and more! How to deduct mileage on your taxes. The importance of taking advantage of depreciation. How to transfer your personal car into your LLC. The likelihood of being audited as a sole proprietor. Why investing in single family homes can be more passive. The psychology behind tenants staying longer in a single-family house. The biggest cost for landlords. Why it’s harder to find motivated sellers in the investor space. Why single-family homes sell faster. How Zach got started in the real estate business. The details of Zach’s first deal. One painful lesson Zach learned early in his real estate career. How real estate negotiations work. Food different ways to buy on terms. Why you should send a 1099. The types of businesses and individuals you should issue 1099s too. How to deal with contractors who don’t want to fill out the 1099. Tips for filling out your own 1099 forms. Decades ago, real estate agents had access to exclusive data and statistics that were not readily available to the average homebuyer. As new technology emerges and the real estate market continues to shift, real estate agents are worried abut the security of their industry. 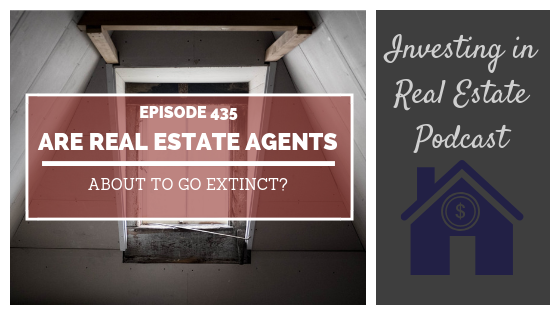 On this episode of Investing in Real Estate, we’re diving into the future of real estate agents. We’ll discuss the data on real estate agents, how the industry is changing, and how real estate agents can make a lucrative career in their local markets. Press play to learn more! Why real estate agents typically don’t work with investors. The types of properties real estate agents specialize in. Why real estate agents’ work is a dying art form. What a typical agent’s salary is like. This episode of Investing in Real Estate is sponsored by Audible. With Audible, you get access to an unbeatable selection of audiobooks including bestsellers, motivation, mysteries, thrillers, memoirs, and more. Get started with a free 30-day trial by visiting audible.com/investing or text INVESTING to 500500. 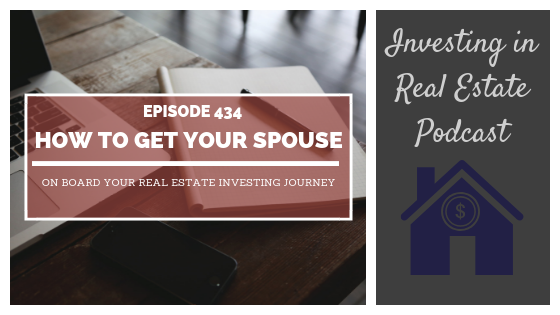 On this episode, Natali and I are discussing how you can prepare convincing information and facts to help your spouse better understand real estate investing. We’ll share seven specific strategies you can use to get your spouse on board. You won’t want to miss this episode of Investing in Real Estate! How talking about your family's budget help your spouse better understand real estate investing. Specific strategies you can use to get on the same page as your spouse. What a typical tenant like, and their risk to lose their jobs in a recession. The best ways to get educated about real estate investing. The typical underlying reason why people pass up a deal.